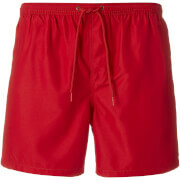 Men’s burgundy coloured swim shorts from the Jack & Jones Originals collection. 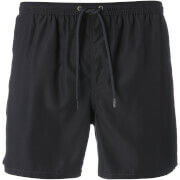 The minimalist ‘Sunset’ shorts are woven from a twill fabric for durability with a nylon lined interior. 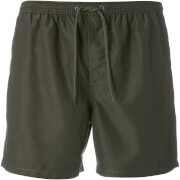 An elasticated waistband with drawstring fasten ties offers comfort and a supportive fit. Finished with a single patch pocket on the rear. No fly. Outer: 100% Polyester. Lining: 100% Nylon.